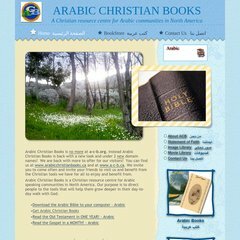 a-c-b.ca ARABIC CHRISTIAN BOOKS A Christian resource centre for Arabic ..
a-c-b.ca Image Library - ARABIC CHRISTIAN BOOKS A Christian resource centre for ..
Its IP Number is 38.117.80.2. It is hosted by Psinet Inc (District Of Columbia, Washington,) using Apache web server. PING (38.117.80.2) 56(84) bytes of data. Pinging the server, resulted in a 27.0 ms response.